Good morning! I’m writing to you on this Monday with the McGriff party of 5 all under one roof! 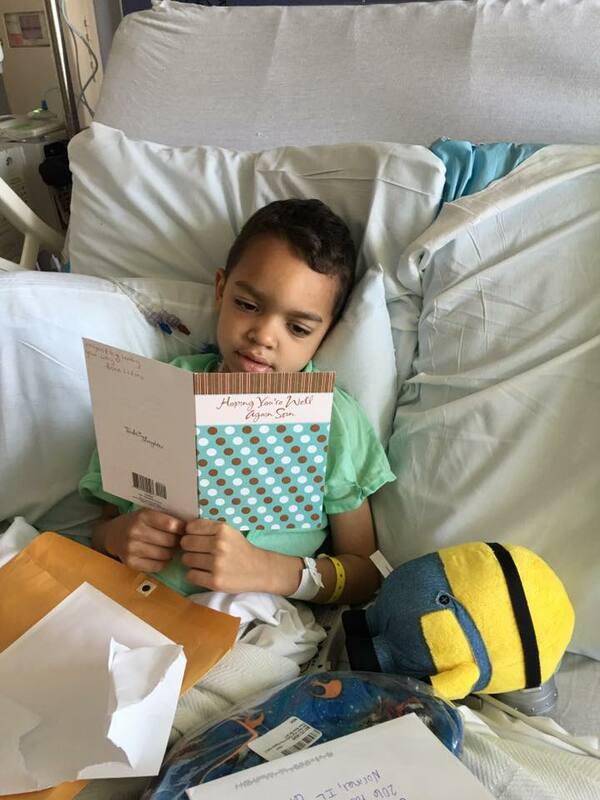 We thank you deeply for your prayers and acts of generosity as Ollie has struggled through this illness. I brought him home from the hospital on Wednesday night and we began a new chapter of our family life. We don’t have any clear answers about why he got so sick and we also don’t know if it’ll happen again. We’re living this messy uncertainty, trying to take joy in the now and put the future in God’s hands. I’ve spent hours making phone calls to cancel camps or activities that I had planned for him and then scramble to replace them with caregivers we can trust. With each time I share his story, there is a piece of me that is protesting. There is a little voice in my head shouting, “He shouldn’t be missing space camp to be at the hospital for tests under anesthesia!” This isn’t the plan we had for him, not the plan we had for us. Wait. Do I ever just ask? Do I ever place enough trust and hope in my heavenly Father to get on my knees and fervently ask him to change my circumstances. I’m not sure I do. I spend lots of time trying to find the lesson in my trials, but I never just give it all up to Him and ask him to change it. I think this requires a few major commitments. First, I have to believe that my Father has the power to intervene in my life. Of course it’s easy to say that I do, that’s what Christians say, right? I need to actually go back and search my bible for that evidence that our God has this power. I need to revisit folks like Lazarus and reconnect with Mary the mother of Jesus and connect with her and the very real pain she endured while her child suffered on the cross. The second major commitment is placing all of my hope and trust in God the Father. This means consciously resisting temptation to put all of my hope and faith in worldly solutions. “In those days Hezekiah became sick and was at the point of death, and he prayed to the Lord, and he answered him and gave him a sign. But Hezekiah did not make return according to the benefit done to him, for his heart was proud. Therefore wrath came upon him and Judah and Jerusalem. But Hezekiah humbled himself for the pride of his heart, both he and the inhabitants of Jerusalem, so that the wrath of the Lord did not come upon them in the days of Hezekiah. 2 Chronicles 32: 24-26. I met Jesus that day for the first time. Our Father knows how to give us good things. Do we know how to ask?